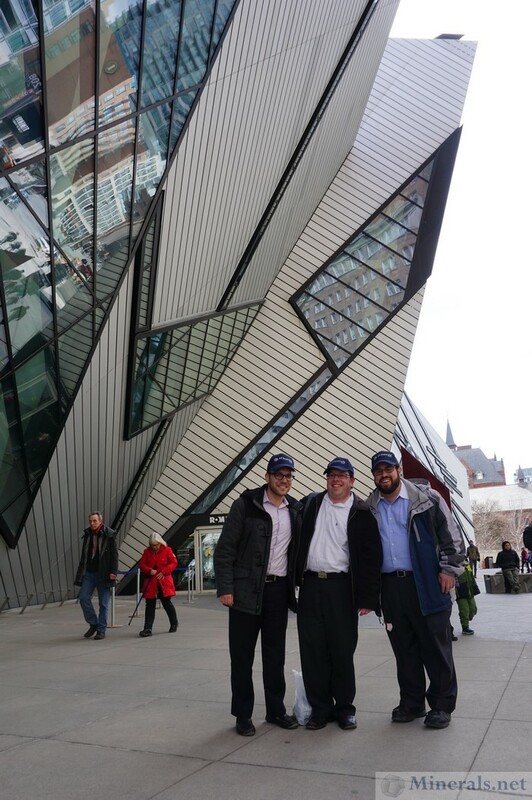 I had the opportunity to visit the Royal Ontario Museum (ROM) in Toronto this past March. 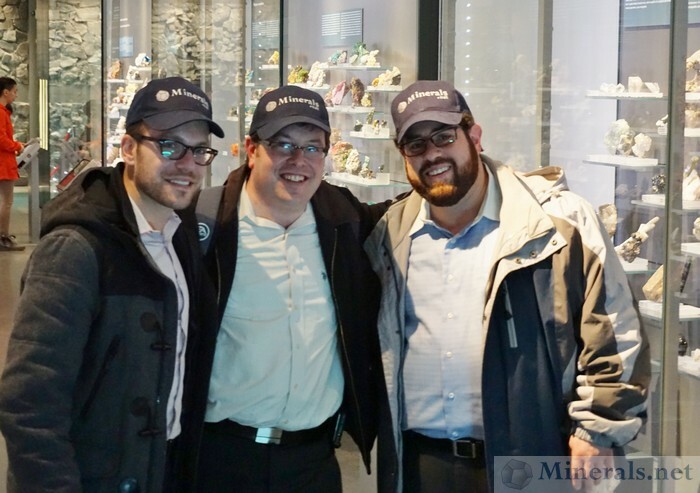 Adam Teller and Eli Frommer, both Minerals.net enthusiasts from New York, joined me on this trip. 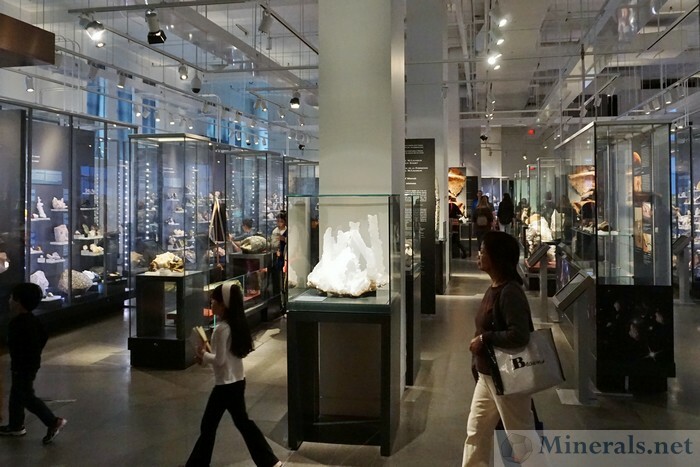 The ROM is Canada's premier natural history museum, and it has an extensive mineral and gemstone hall containing many exceptional pieces. Some individual minerals and gemstones in the collection are highly renowned. Anyone in the vicinity of Toronto should definitely pay a visit to this museum. 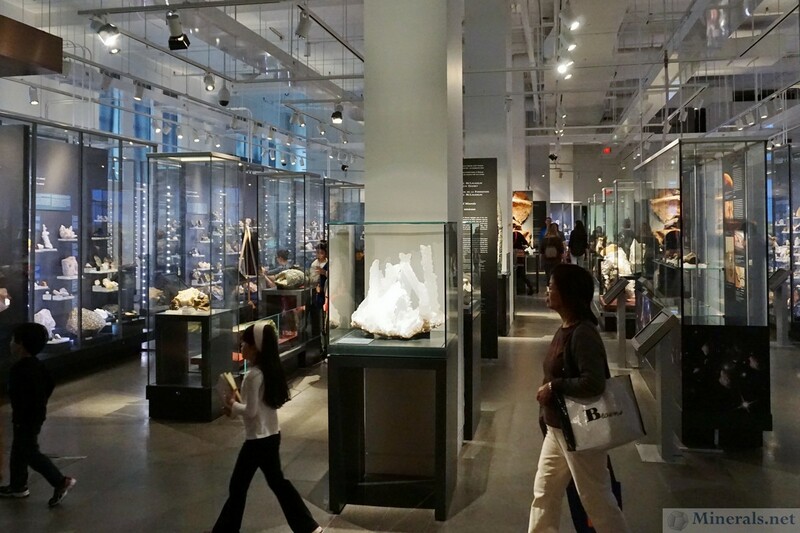 The mineral hall occupies a large room with high ceilings, and the appearance of the room and displays show that it was recently renovated with modern display units and excellent lighting. 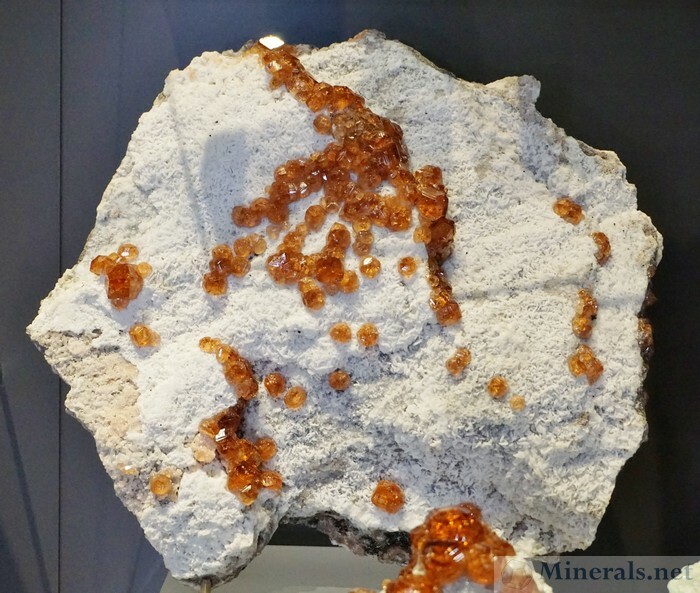 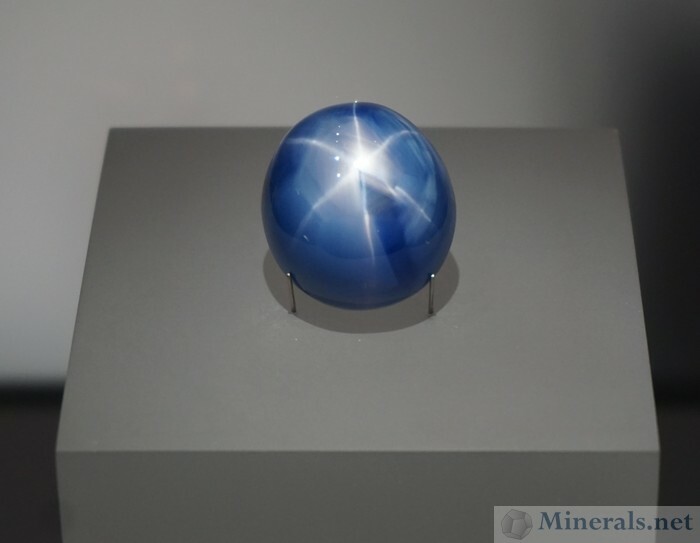 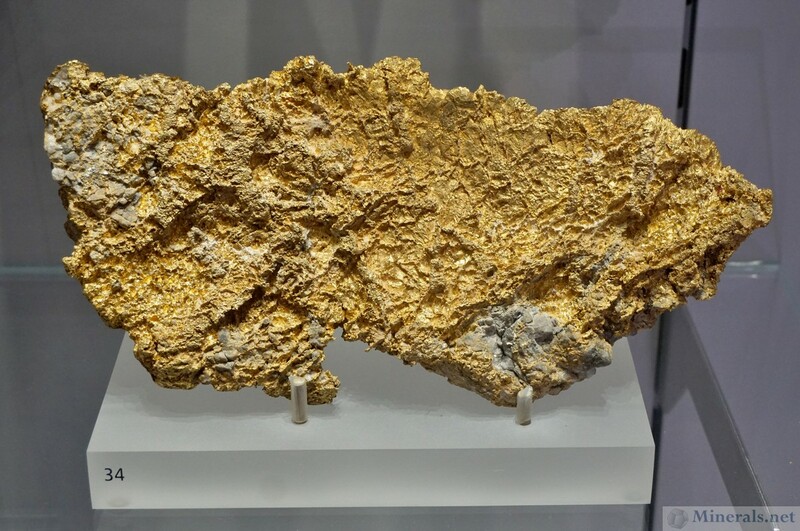 A large focus of the museum exhibits is naturally the minerals of Canada. 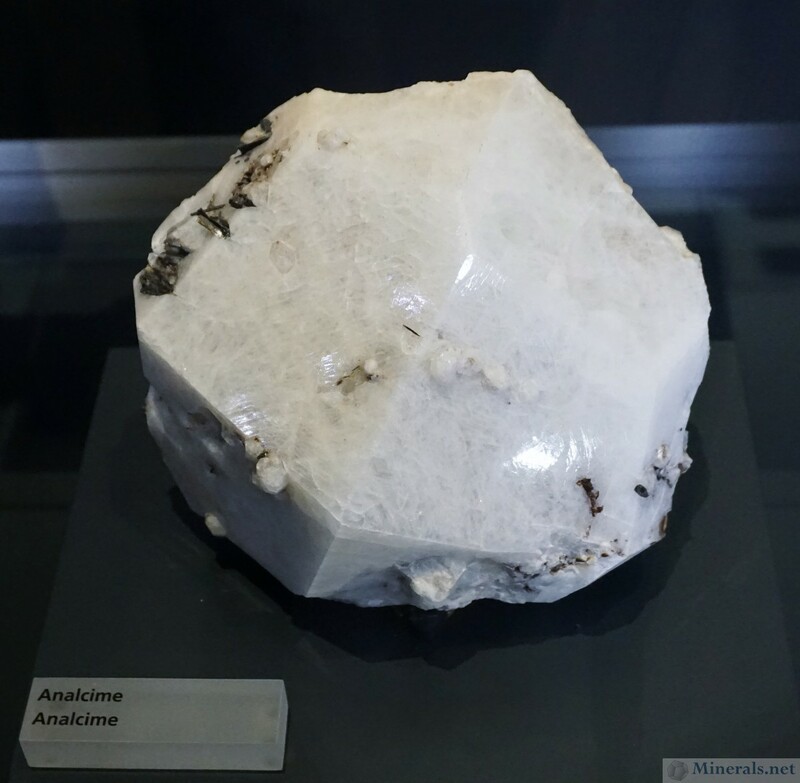 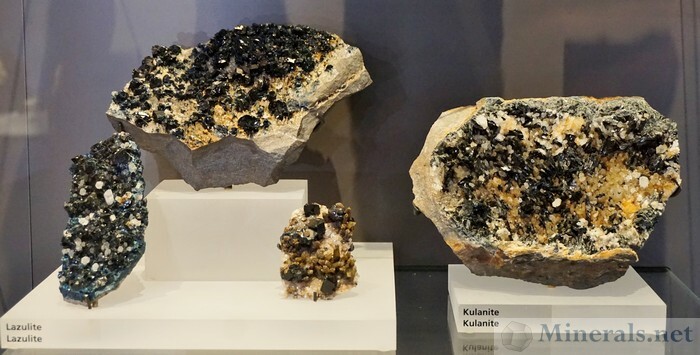 However, there are also plenty of other minerals and exhibits to be seen at this museum. 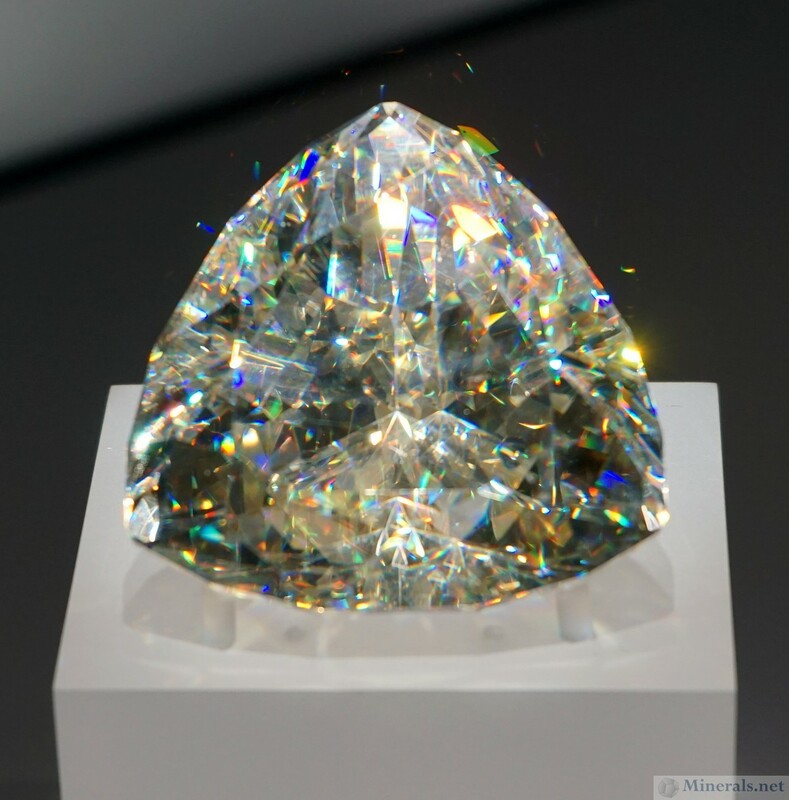 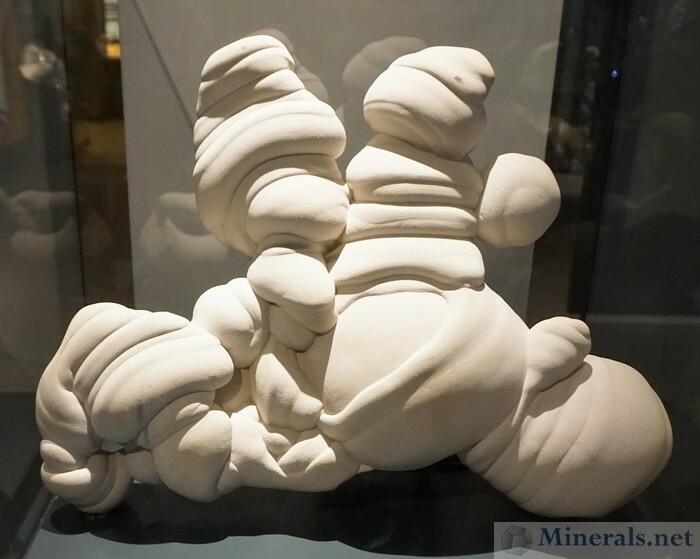 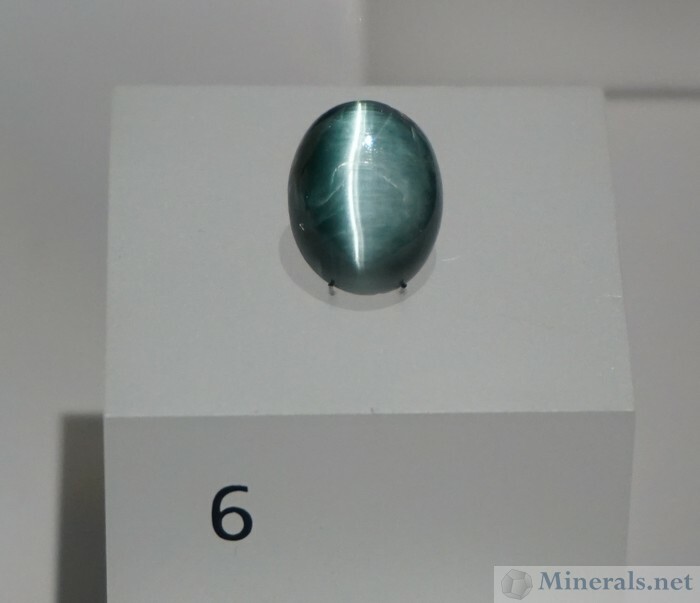 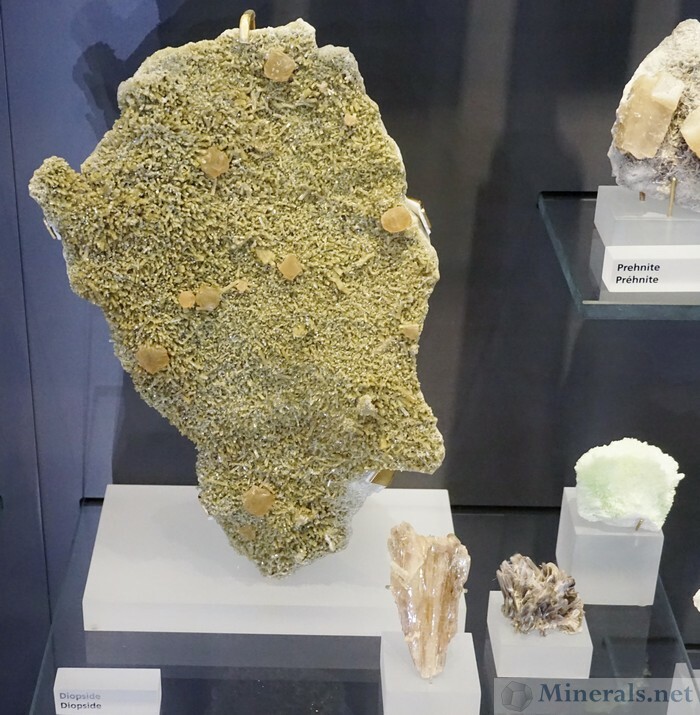 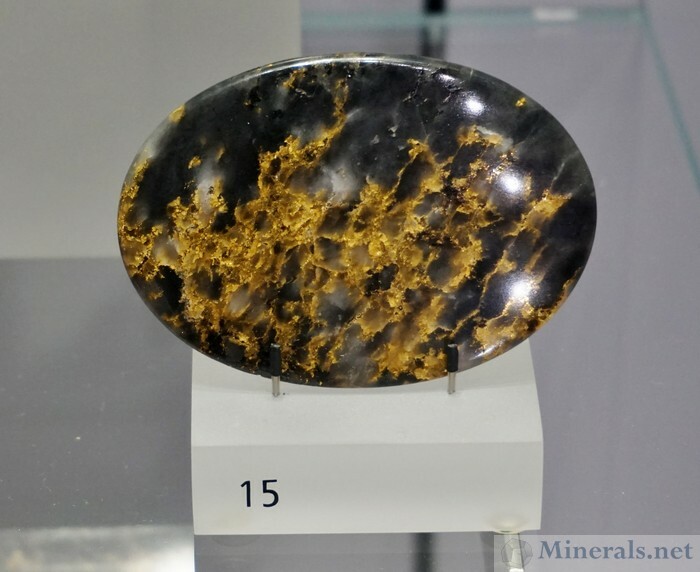 For this new particular news post, I focused primarily on the minerals of Canada, though a few other interesting photos managed to get in as well. 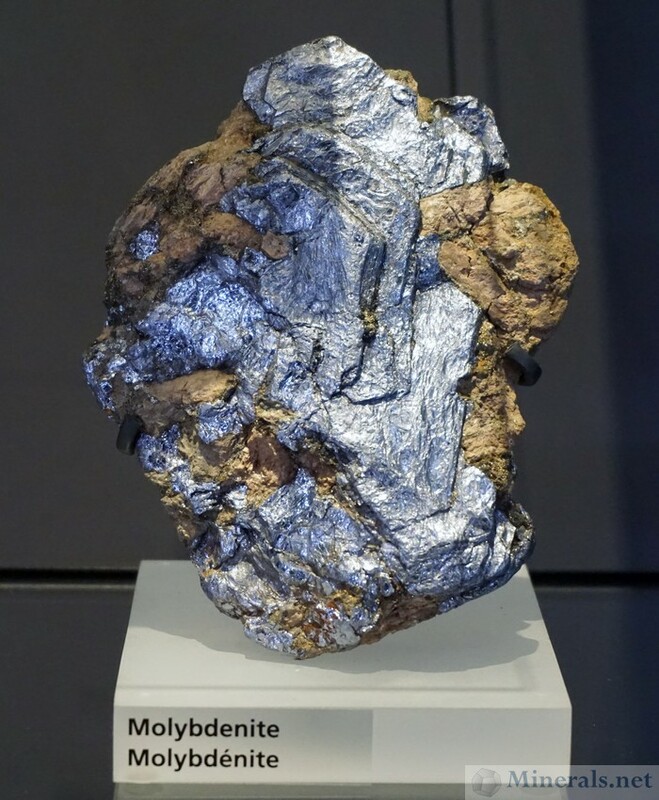 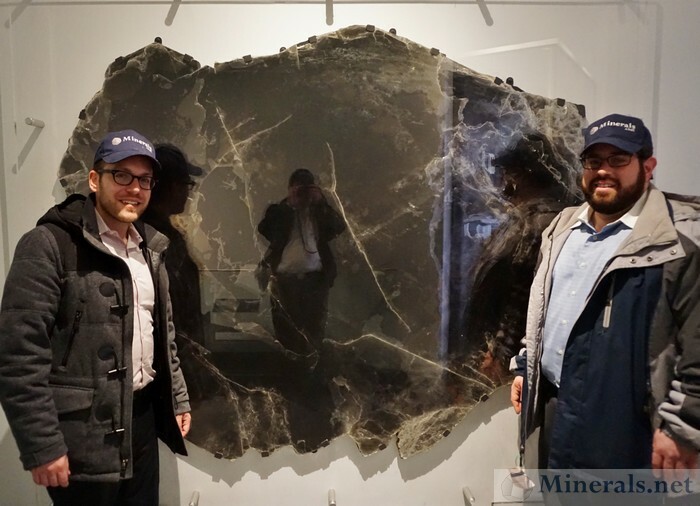 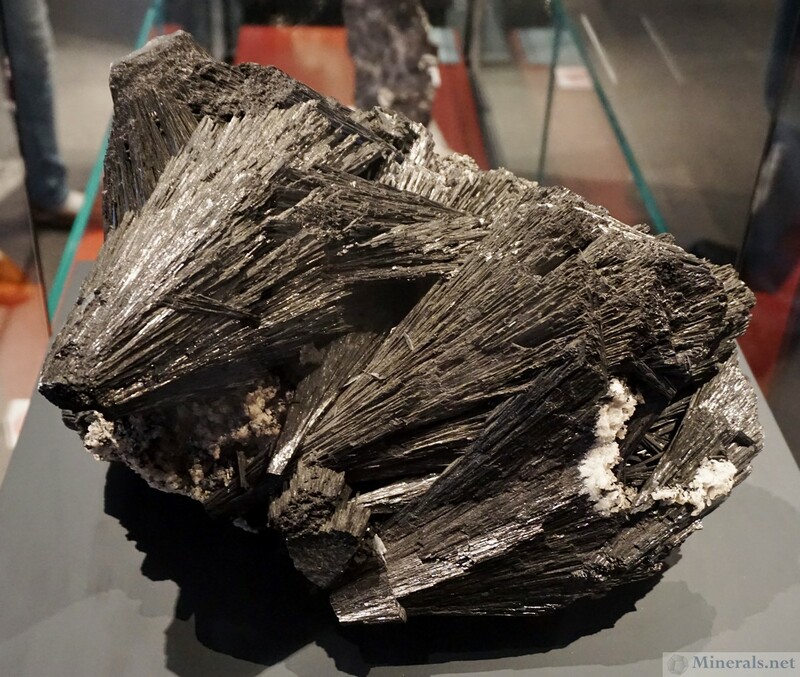 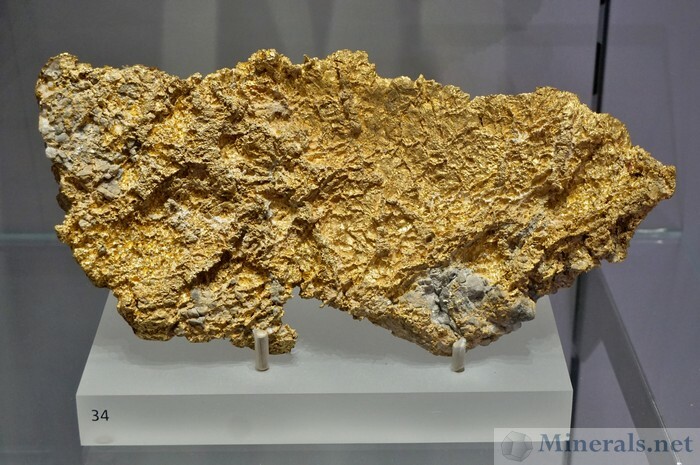 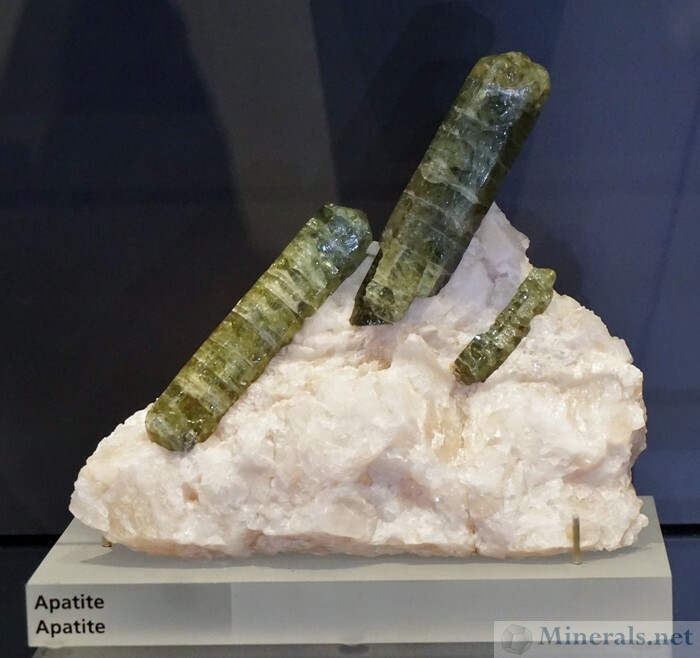 The museum has a dazzling collection from several important Canadian localities, including the Jefferey Quarry in Asbestos, Mont Saint Hilaire, the Cobalt District, and the Rapid Creek area. 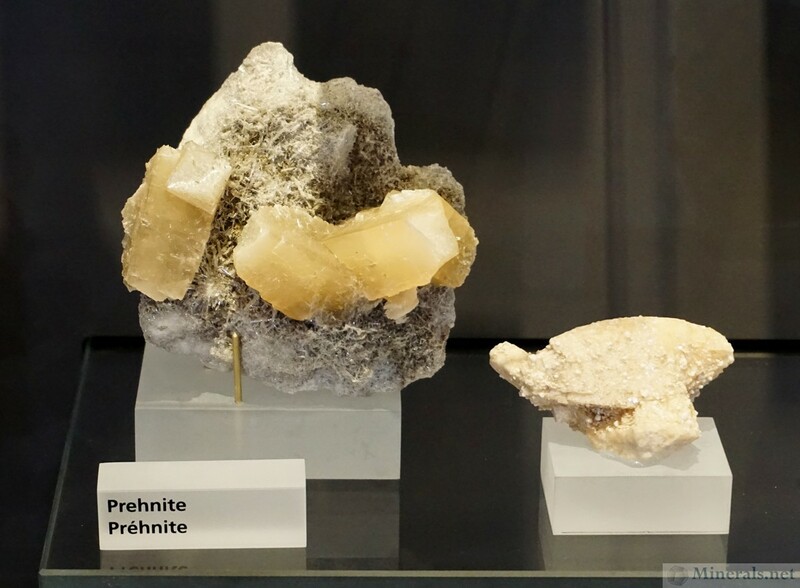 The museum also hosts a gem hall adjacent to the mineral hall, which contains collections of rough and cut gemstones, as well as other interesting displays such as Gold. 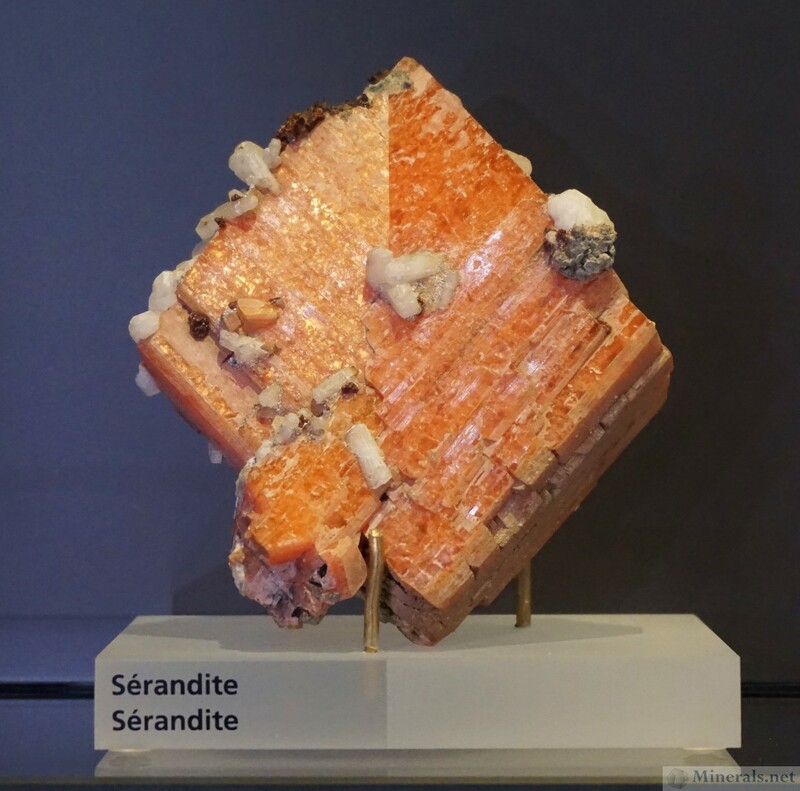 The museum has most of the minerals on display labeled with a number. 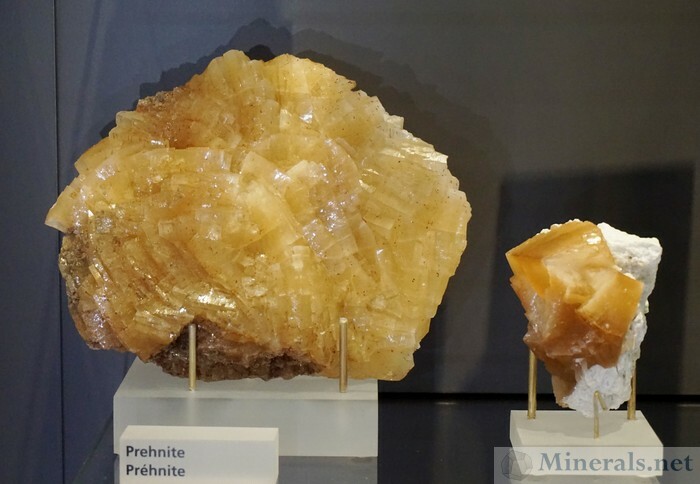 There are touch screen tablets by each large case which allow one to navigate and read all about each mineral in detail based on its associated number. 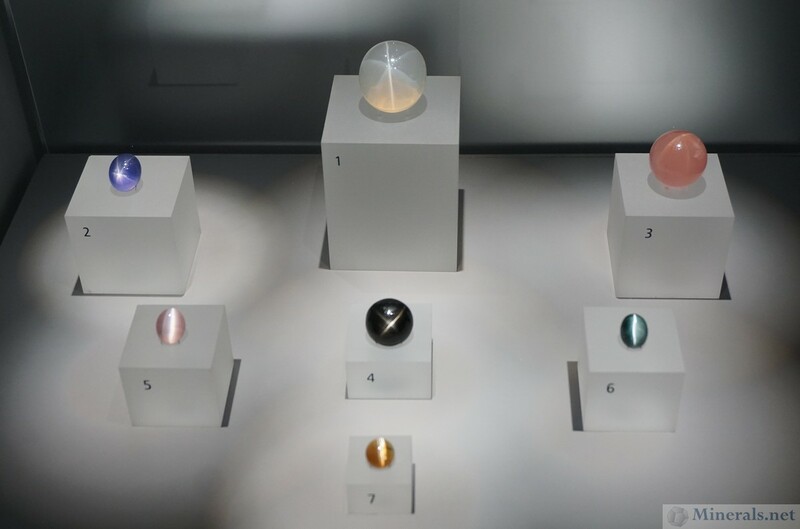 This new-age concept with a tablet touch screen for detailed information is a great usage of modern technology for a mineral and gemstone exhibit. 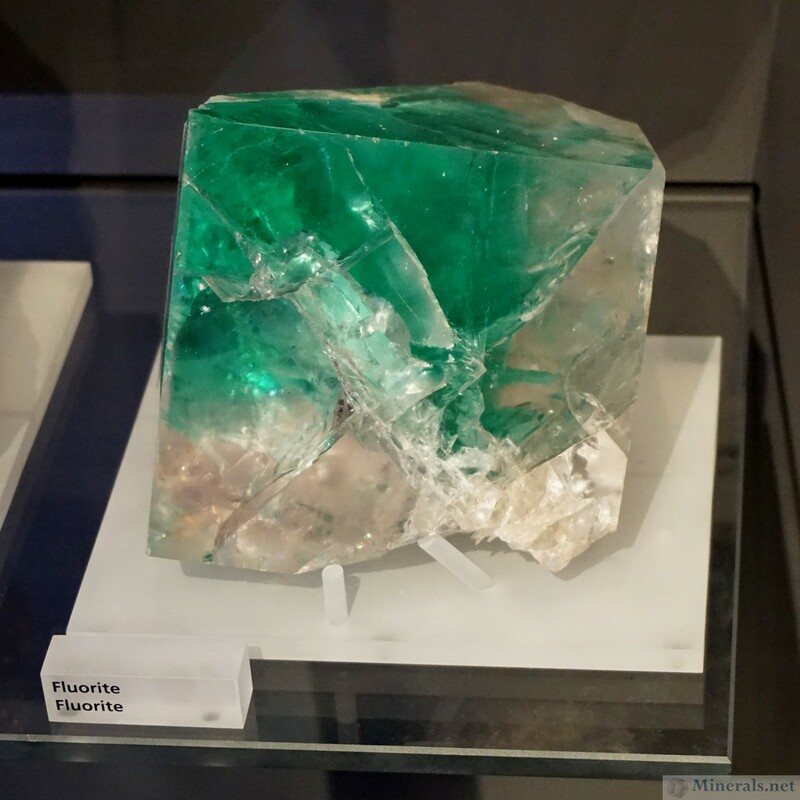 However, it disturbed me how many of these these touch tablets were disabled and rendered useless. 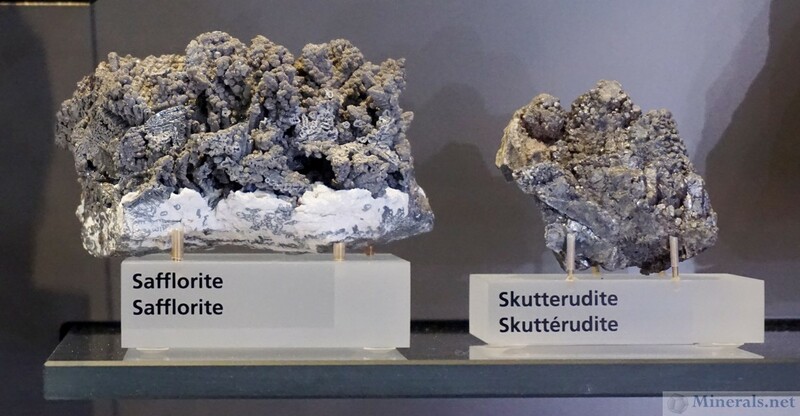 In fact, there were more non-functioning units than functioning ones! 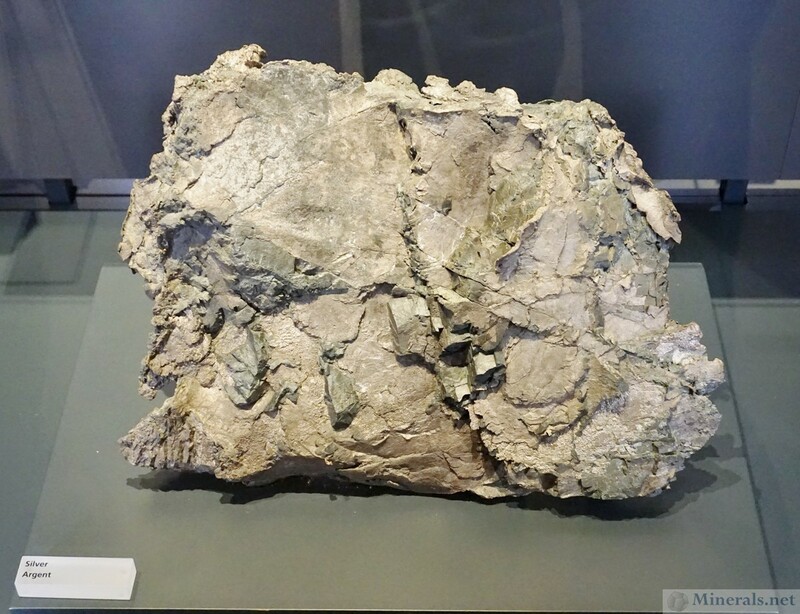 Further, the basic locality should also have been shown together with a mineral on display, so that you can see this information without the need to look it up. 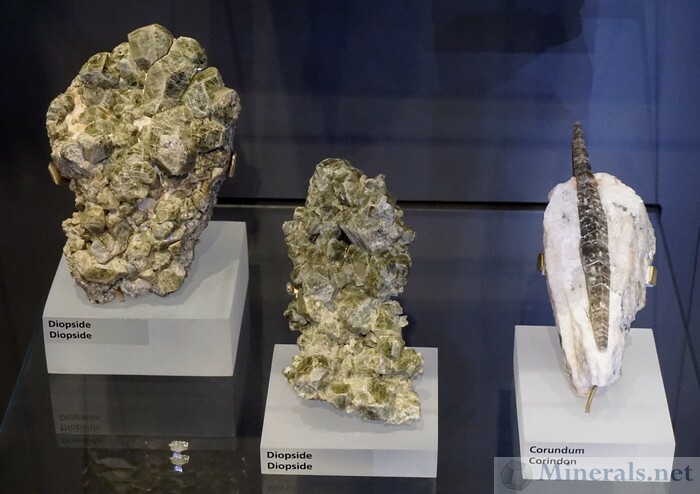 I subsequently discussed the above matter with Katherine Dunnell, the Mineralogy & Geology Technician at the museum, who informed me that they are upgrading the entire digital kiosk system this coming month. This will be a great improvement for research, and I am looking forward to seeing this enhancement on my next visit to the museum. Below are some handpicked photos of some of the fascinating display cases in the ROM. 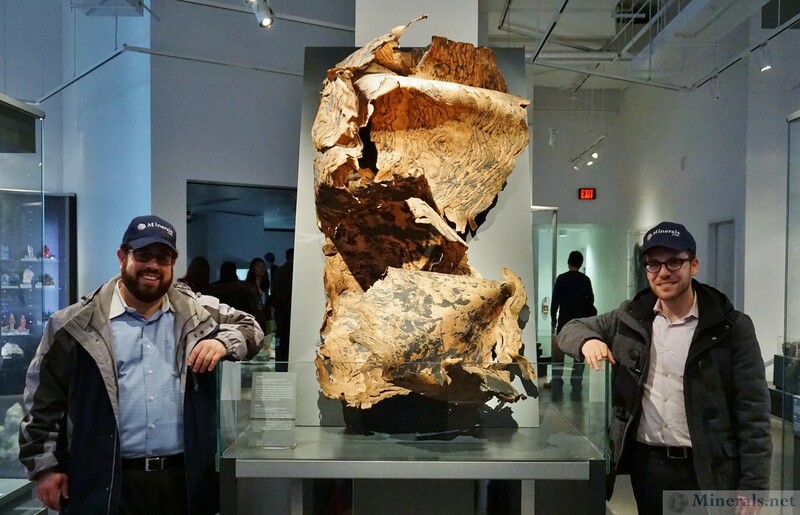 Click the pictures below for a larger version pop-up. 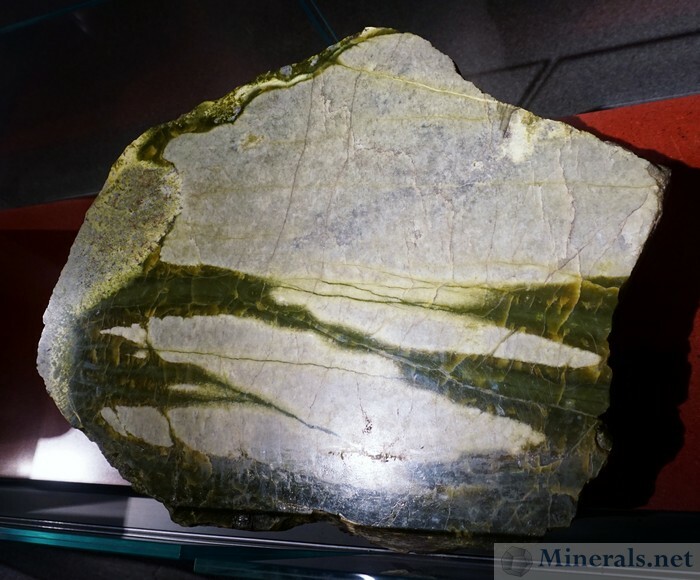 Deep Green Fluorite from Madoc, Hastings Co., Ontario. This is Probably the Best Fluorite I have ever seen from Canada! You can view our May 2015 newsletter online. Please click the image below for the larger version.